This is traditional garage door design much coveted for its clean look and classy charm. They can be bought with or without ornate windows. The presence of decorative windows will suit the classical style of any building. 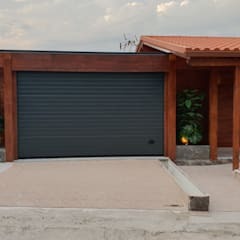 Raised panel garage doors can be made of wood, steel, or a combination of wood and steel or wood grain. Hemlock and cedar are the two types of wood that are favoured for this type of Garage door. Both are durable, boast a beautiful texture, and can be easily carved into different designs. Undoubtedly, this is one of the best garage door types for you to invest in. 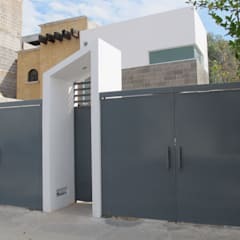 Contemporary garage doors are inspired by the mid-century modern designs. They are perfect for modern homes with an unfussy yet trendy look. 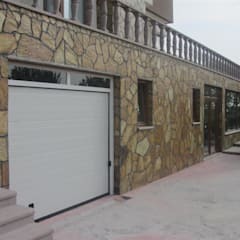 Generally a combination of steel and glass are used to build this kind of garage doors. 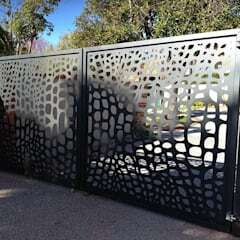 You may also ask your garage door company to install a contemporary garage door made exclusively of steel. It is sturdier and capable of providing better security to your cars. 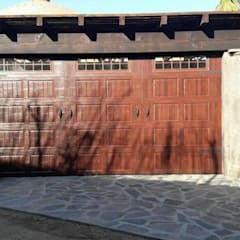 Also known as carriage style garage door, this one stands out for its rustic yet evergreen design. 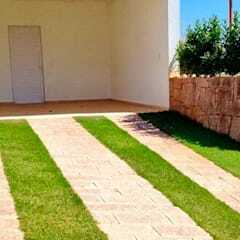 Do you have a country house nestled in the greenery? Then this would be the perfect option for you. 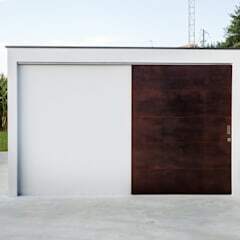 Though wood is almost an automatic choice for this type of door, you may also buy steel barn-style garage doors too. 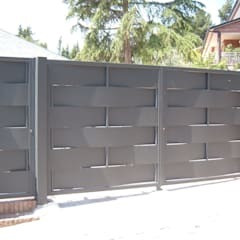 This is by far the most popular garage door type in Canada. 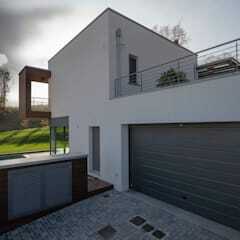 It can be further divided into retractable garage door and canopy door styles. 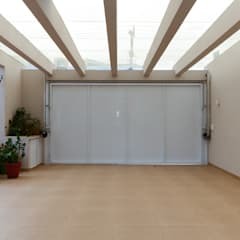 Retractable garage doors are installed with a horizontal track which lets the door open towards the interior of the garage. These doors can be operated electronically or manually. 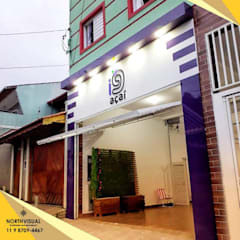 Canopy doors are installed with a vertical track and are convenient only for manual operations. Roll up doors or roller shutters don’t waste any space. 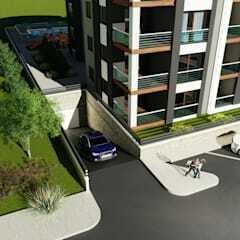 Consequently they are suitable for most city homes where garages occupy a tight corner of the plot. Roller shutters are made of steel. 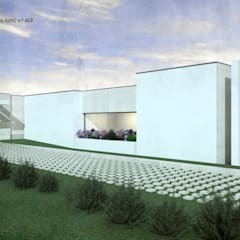 They can be custom-designed according to your needs and are capable of providing very high level of security. 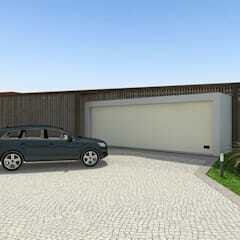 For ease of operation, you may also install a remote controlled roller garage door. 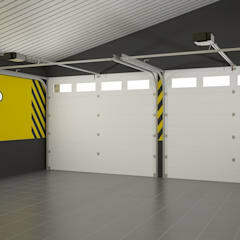 Like roller garage doors, sectional doors are useful for small spaces. They open vertically. 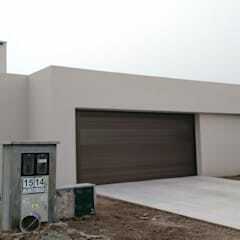 Besides, sectional garage doors can be designed to operate electronically. 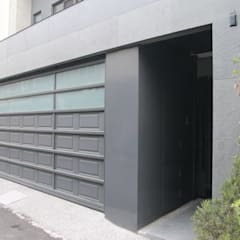 Hinged garage doors are attached to the door frame and open sideways. Hinged doors are best for garages with added space in the front. 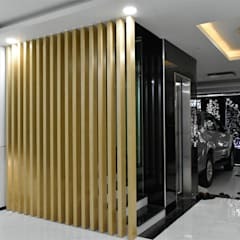 You may opt for hinged doors made of wood or a combination of wood and steel for your garage. 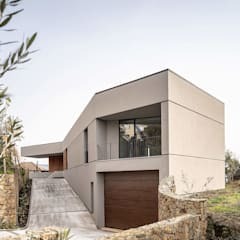 What materials are used to build garage doors? Timber – redwood, oak, cedar, birch, hemlock and eucalyptus are some of the common wood types used for building garage doors. 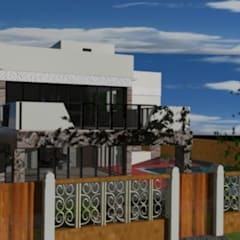 Wood boasts of a distinct charm, the beauty of the exterior of the house. Plywood is a cheaper alternative to classical hardwood. 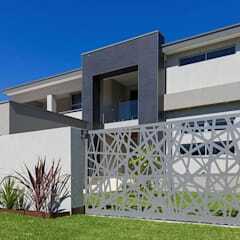 Steel – Steel is sturdy and more cost effective than some hardwood types like walnut and mahogany. 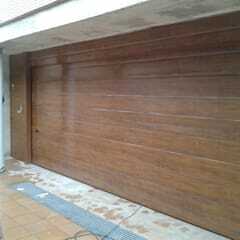 Sometimes wooden doors with steel frames are also installed in the garages. Aluminium – Aluminium is lightweight and affordable. But it does not have the sturdiness of wood or steel. Fiberglass – Like aluminium, fibreglass is lightweight. Most fibreglass garage doors use aluminium framework. It is non-corrosive, so very useful for coastal homes constantly exposed to high level of moisture. They can be given a faux wood finish. Vinyl – Vinyl is another very durable option for garage doors. It is also easy to maintain a vinyl garage door. However, they cost more than aluminium and fibreglass doors. 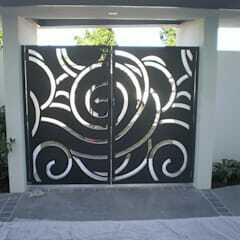 Moreover, they are not available in an extensive range of designs or colours. Garages used for parking family cars, sports or multi-utility vehicles can have anyone of these three door sizes. 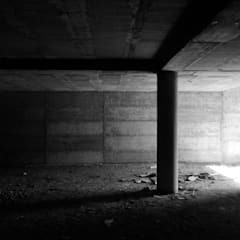 If you are parking multiple vehicles or utilising the garage for other purposes – like using it as a store room – then going for a double door garage would be better for you. Garage door prices tend to vary widely. The cost of a garage door is very much dependent on the size of the doors, their styles and materials in use. 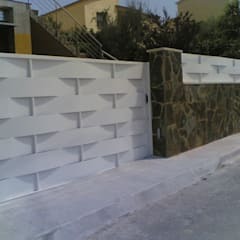 Fibreglass and aluminium garage doors having dimensions of 16 X 7 feet cost approximately $1800 CAD. Hardwood doors of same size would cost you more than $3600 CAD. 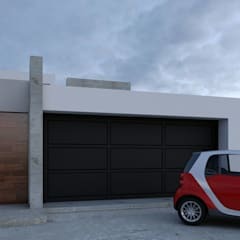 Steel garage door costs more than $3000 CAD. 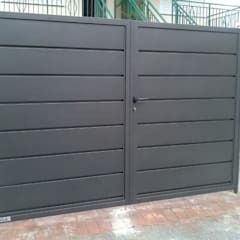 Single fibreglass or aluminium garage doors of 8 X 7 feet cost between $600 and $800. Steel and hardwood single doors can be bought within $1500 CAD. How to install garage doors? 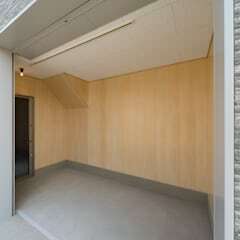 * Measure the door opening and the distance between the top of the door and ceiling. Leave at least 12 inches in the headroom for attaching the spring system. * Set the panel on the doorway by using nails. * Fix the weather stripping with the panels. * Assemble the tracks. Follow the instructions shared by your garage door company. * Attach the rollers and hold them in place with temporary brackets. * Fix the hinges in their places. * Install jam brackets in the tracks. * Install the torque tubes. * Complete the process by setting the door in its place. Instead of doing it all by yourself, you may seek help from a professional garage door installer. 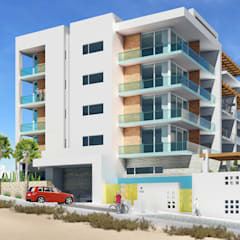 Using a professional will also ensure a flawless and quicker completion of the task at hand.